M.A. English with at least 55% marks from recognised university. M.A. Hindi with atleast 55% marks from recognised university. M.A. Economics/ Applied Economics/Business Economics with atleast 55% marks from recognised university. M.A. Geography with atleast 55% marks from recognised university. M.A. Sanskrit with atleast 55% marks from recognised university. M.Sc. Zoology/Botany/ Bio-Science/Genetics/Micro-Biology/ Plant Pathology/ Biotechnology/ Environmental Science/ Life Science/ Molecular Bio. with at least 55% from recognized university marks, provided that the applicant had studied Botany & Zoology at Graduation level. M.Sc. Physics/ Applied Physics/ Nuclear Physics/Electronics Physics with at least 55% marks from recognised university. M.Sc. Chemistry or Bio- Chemistry with atleast 55% marks from recognised university. M.A./M.Sc. Mathematics/ Applied Mathematics with atleast 55% marks from recognised university. M.Com. with Accounting/Cost accounting/Financial accounting as a major subject of study with atleast 55% marks from recognized university. Holders of degree of M.Com. in Applied/ Business Economics shall not be eligible. M.A. Punjabi with atleast 55% marks from recognised university. (i) M.A. Fine Arts with atleast 55% marks from recognised university; and (ii) Bachelor of Fine Arts (B.F.A.) or its equivalent from a recognised University with 50% marks. (i) M.P.E. or M.P.Ed. or M.A. in Physical Education with 55% marks from a recognised university; and (ii) Graduate with Bachelor of Physical Education (B.P.Ed.) or its equivalent from a recognised University with 50% marks. Note: Condition of B.Ed. will not be applicable. (i) At least 55% in M.Tech./M.E. (Computer Science/IT) from a recognised university / recognised institute. OR At least 55% in MCA/ M.Sc. (Computer Science) from a recognised university. 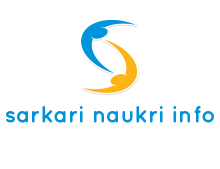 (ii) Matric with Hindi/Sanskrit or 10+2/B.A./M.A. with Hindi as one of the subject; and (iii) Consistent good academic record; and (iv) Proficiency in teaching in English and Hindi medium. (i) 1st Class B.Lib. from recognized Institution with two years experience as librarian/Assistant Librarian of University/Institution affiliated with University. Must have working exposure of Digital Library; and (ii) Must be conversant with techniques of Digital Storage/Maintaining of Digital Copies Must be competent to use Library Softwares; and (iii) Matric with Hindi/Sanskrit or 10+2/B.A./M.A. with Hindi as one of the subject. Desirable: B.Ed. Degree from a recognized university. Qualifications common to all categories of PGTs except Cat. No. 19 : (i) The subject in which Post Graduation is done should be one of the subjects in Graduation; and (ii) B.Ed. with 50% marks from recognized university/institute. However, in the case of candidates who have qualified National Eligibility Test (NET) or M,Phil with 50% marks from recognized university/institute, condition of B.Ed. will not be applicable; and (iii) Matric with Hindi/Sanskrit or 10+2/B.A./M.A. with Hindi as one of the subject; and(iv) Certificate of having qualified State Teacher’s Eligibility Test (STET)/ Haryana Teacher’s Eligibility Test (HTET)/National Eligibility Test (NET). Further, the condition of STET/HTET will not be applicable in the subjects of Music and Fine Arts; and (v) Proficiency in teaching in English and Hindi medium; and (vi) Consistent good academic record; and (vii) Conversant in IT skills and effective use of new technologies as tools for learning. (viii) Essential qualification (EQ) is given with each post. Desirable for all categories of PGTs: Teaching experience from Government/ Recognized / Progressive Public School/College/ Polytechnic; not below the rank of Master/TGT. Pay Scale : Rs.38,300/-, Rs.30,060/- and Rs.25,750/- respectively. Application Fee : The rate of fee is Rs.300/- + Rs. 20 (Bank charges) for General category candidates and Rs.75/- + Rs. 20 (Bank charges) for SC/BC/ESM/PHC candidates of Haryana state. The fee should be deposited in any branch of State Bank of India under code/account number 30164102059. Interested candidates should Apply Online. Closing date for submission of online applications: 31st July, 2012 upto 5:00 p.m. Closing date for deposit of fee: 01st August, 2012 upto 4:00 p.m. The candidates are strongly advised to apply online well in time without waiting for last date of submission of online application. The printed copy of the online form with necessary certification will be brought at the time of interview/verification.